Software Technology companies are providing some intuitive technologies for residential construction industry to develop and employ BIM (building information modeling) Process. CG Visions, www.cgvisions.com, Lafayette, Ind. 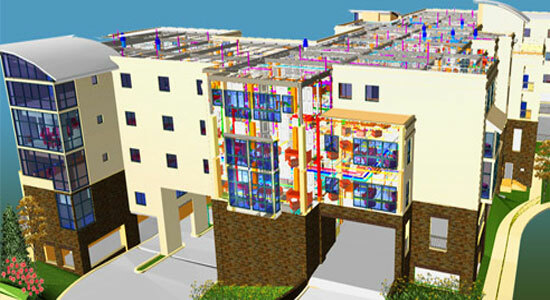 ; BuilderMT, www.buildermt.com, Lakewood, Colo.; and Sales Simplicity, www.salessimplicity.com, Chandler, Ariz.; lately declared the launching of CG Vision’s eHome, the latest module for CG Vision’s BIM Pipeline software. The companies also declared the incorporation of eHome to BuilderMT and Sales Simplicity. eHome facilitates homebuilders to visualize design through its CAD (computer-aided design) or BIM-based visual options selection tool to pick options for homes, based on rules and regulation set by the homebuilder. Customers also get benefitted with a visual toolkit to maneuver a flex floor plan configurator—and it all takes place in realtime. When options are selected, eHome conveys in realtime involving product and structural object pricing inside BIM Pipeline connected with Sales Simplicity and BuilderMT to find out the price of the custom home. At the same time, the option-selection record arranged in eHome is preserved in Sales Simplicity, that also auto-generates the purchase contract in a paperless method. This results in producing prompt and precise price for the customized home, based on the material prices the builder has encompassed with its suppliers. This progression concerning price, will facilitate homebuilders to predict as well as figure out proper home cost. With increasing technological advancements, builders can have more options for modeling homes.